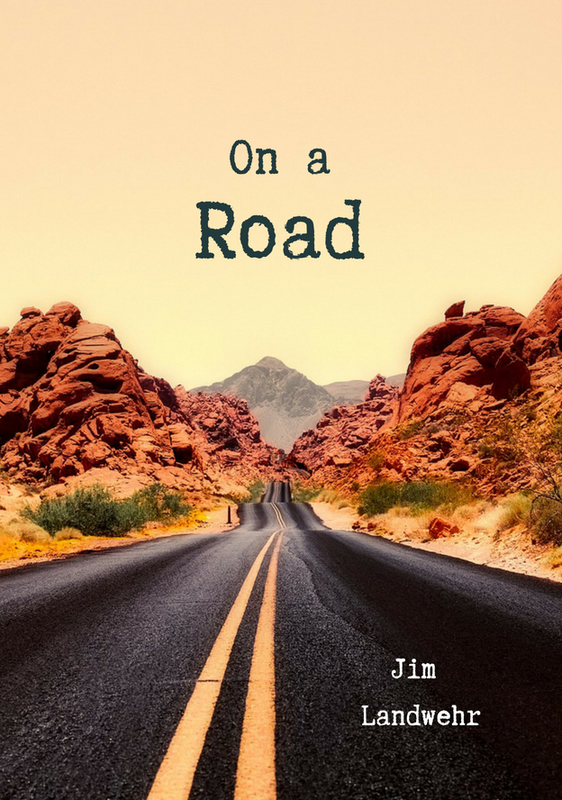 Two weeks from today is the formal release of my poetry chapbook titled, On a Road by Unsolicited Press. It is a little hard to believe that this is my fifth published book, albeit just a 30 page chapbook. It is also my second published book of 2018. It's easy for us writers who struggle with self esteem issues to discount ourselves, but, all things aside, I am still pretty happy with the direction of my writing. On a Road, is a travelogue of a sorts that tracks a trip I took from Minnesota to California in 1984 with two friends in a rental car, a 40 hour drive one way. I felt the trip had elements of Jack Kerouac's classic novel, On the Road, so my goal was to write these vignettes stylistically similar to Kerouac's book. I even went so far as to give my friends the names of characters in the book. It was originally designed as a 3 poem series, but when a fellow poet, Mary Jo Balistreri encouraged me to tell the whole story, I decided to write the rest of it. It is also done in complete reverence for and out of total respect for the genius of Jack Kerouac. I remember reading his novel and thinking it was the most unconventional book I'd ever read, but also one that changed the way I looked at literature. I do have to mention that On a Road is a little different than my other books. I was young and crazy and doing all the irresponsible things that a 23 year old does. Like memoir, I am putting myself out there, at least the myself of my past, if that makes sense. I lived it, I can't change it, but it was part of who I was at the time. On the other hand, the trip was a lot of fun and obviously the memories have held. I will have personalized copies for sale at all of my readings or the next time I see you for $9.99 which is my cost. Since I have all your books, I can’t do an e book. When is your next reading? I’ll definitely buy one. Jo, I should have some at the bookfest. You are referenced in the acknowledgements by the way. Not by name,but by inference.